Momma Told Me: Beauty is on the inside. Makeup is a world of color, a masque to apply before we hit the stage of life. In our society little girls grow up sitting at their mother's vanities, and folding through magazines full of pictures of modern goddesses. We are taught that we can be whatever we desire to be regardless of where we are born, or what we look like. Yet, from mechanics to supermodels, we are all still instilled with a need to emulate perceived beauty. Not to deceive, but to express ourselves on the canvas that is our body. I especially love the Spring season for the softer, and even more vibrant, palette it brings into my hands for play. Bold pastels and cheery glitters help bring the feminine side truly out; reminiscing of memories amid an Easter basket of Lip Smackers and jelly beans. And now, thanks to subscriptions box services such as Starlooks, I can enjoy a hand picked palette of creamy colors and cosmetics at a fraction of the retail cost. Some of you may recall reading about Starlooks before, here on Momma Told Me, and already know of my respect and adoration for them. I have subscribed to many similar services for cosmetics and otherwise, and few have delivered so consistently with full size, quality, products I enjoy using. 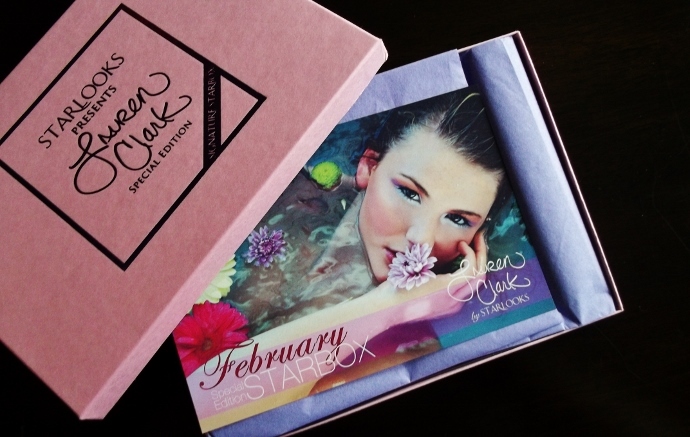 With the exception of the December 2012 Starbox, these monthly collections consist of multiple products from the in-house brand, painstakingly curated to help the customer recreate a mood or look. When you visit the website you'll find yourself lost in beautiful snapshots and beauty how-toos to capture the season's mood, and a plethora of non-featured products to shop from. The simple truth is that the product Starlooks puts out at full price does not vary from the product presented in these boxes. For just $15 you can receive an exciting bundle of the brand's products to keep you looking gorgeous from brow to lips. Each month's box is always delicately wrapped in color-themed tissue paper, with a whimsical 'crystal' and quite card to help unlock the inspiration inside each recipient. Boxes that do not go out to current subscribers are sold at a slightly high price (often $25), until supplies run out, though replacement products can be bought individually through the Starlooks store. The business model is ingenious really, as most women enjoy sampling cosmetics for shade or application, and are extremely loyal to re-stock when low. What I personally like best is that the collections seem to universally appeal, never too sharp, but always an edgy twist on cosmetic style. That is, I have not received a Starbox that was full of products I would never use. On occasion, I might not find a use for them together, as the prompts may try to inspire, but all of the pieces work their way into my daily makeup wardrobe. As a woman prone to sensitive skin, I also love the lack of fragrances found in most Starlooks products. Their cosmetics go on smooth, wear long, and don't irritate my skin. Speaking of skin, when a Starlooks box calls for pigment compatibility the company will consult for your skin tone, or other necessary info, ahead of time, to ensure you have the best box for you. March was all about Professional Makeup Artist, Lauren Clark, who arguably looks much more toned down in her flyers and paperwork than the sultry woman seen advertising her collection on the website. Consisting of 3 unique textured lip products; "Tipsy" Lip Liner, "Princess Diaries" Infinity Pot Liner, and "Pink Oasis" Lip Color Tube, as well as bonus "Barbie" Fluid Blush, this collection was easy to layer with complimenting pinks and purples. Despite it photographing a plum-pink here, the Pink Oasis Lip Gloss is actually more of an iridescent Lavender that lightly tints through rich shimmer, and wears creamy for hours. 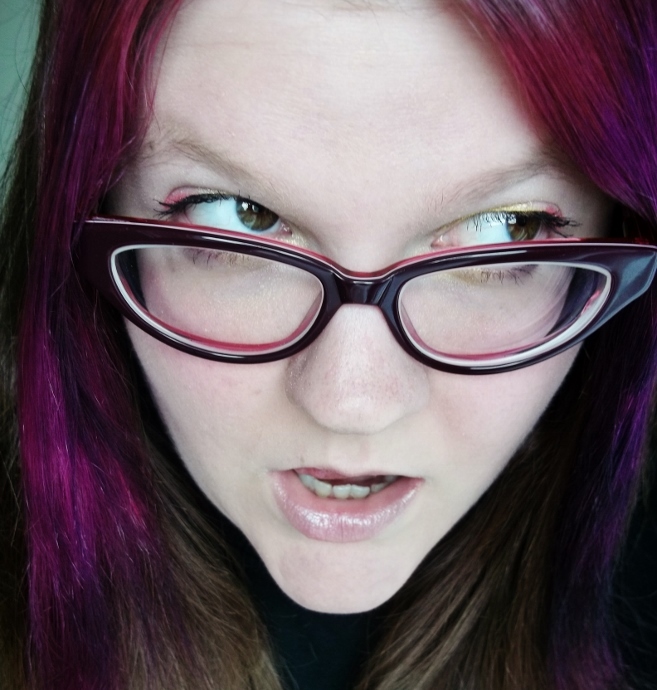 I loved that my lips didn't get 'sticky,' and actually experienced some moisture relief. I'll admit I don't normally dress up my lips, unless going out for a special occasion, so I didn't find an immediate use for the trio of lip products, though the colors do appeal quite a bit to me. I was most intrigued to play with the Barbie Fluid Blush, which wore like a fluffy cream foundation, and easily blended for a natural color I quite liked. I've already been back to the Starlooks website to scout out the other hues, and create a wish list for more of the Fluid Blush colors. 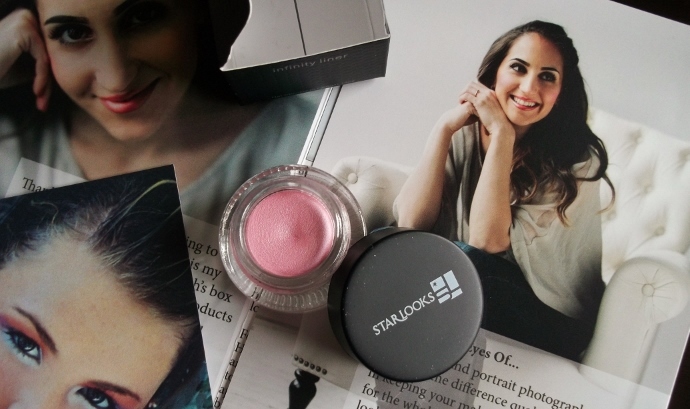 I love Starlooks Starbox subscription because it is one of the simplest, well put together, beauty subscription services. I attribute it's success to the fact the company manufacturers all of their included products, which maintains a certain level of quality the customer learns to expect. I also feel the interactivity of the website, and monthly pictorials help inspire some of the less creative fashionistas to use the products for their own self expression. I get to play with new textures, applications, and hues for a fraction of the cost of risking to buy the full sized products on their own. And, when I fall in love with a product, like the Fluid Blush, I can visit the online store and browse the entire palette and re-stock. I've yet to be disappointed by a Starlooks Starbox and highly suggest it as a treat to any beauty curious or obsessed. What Daughter Says: Starboxes are packed with beauty steals and secrets! One Momma Told Me reader will win 2 months of Starboxes from Starlooks! Visit our Blog POP! giveaway LINKY to hop on over to all of the other amazing event giveaways! I like the Liquid Blush. i would like to try the fluid brush. I would like to try their blush called starlooks. They have so many nice colors! I'd love the Abby Rose bracelet. It's adorable! Lauren Clark Signature Blush looks great! would love to try the liquid blush! Oh I love the Abby Rose bracelet! The Elleira hair products sound like they would be so good for your hair! Mine is thick and frizzy so anything to help. I would like to try the lip gloss. I would like to try the liquid blush. I'd love to try the 5 Shade Eye Shadow in Goldie Lids. I'd like to try the Powder Foundation - great to carry in my purse. I like the Lauren Clark lipstick. I'd like to try the tendergloss lipstick in kitchy rouge. I like the Abby Rose Bracelet. I would like totry some Mousse Foundation. Among a TON of other makeup! I would like to try the Bronzer. 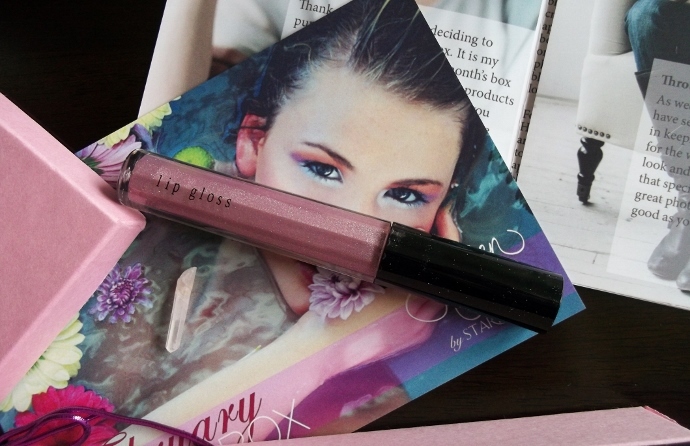 The Lauren Clark Lip Gloss. I don't like wearing lipstick, so I am always looking for a good lip gloss! I would love to try the fluid blush! I'd love to try the Sensation Primer. Christina - xristya@rock.com - I like Ellieria Hair Care. I'd like to try the Lengthening Mascara. I would love to try the Camouflage foundation. Thanks for such an exciting giveaway! I like to try the Jubilation Lipstick. I like the The Abby Rose Vine Line bracelet in Black. I would like to try the Starlooks Bronzer.